22 Vereine participated in Preisplatteln. 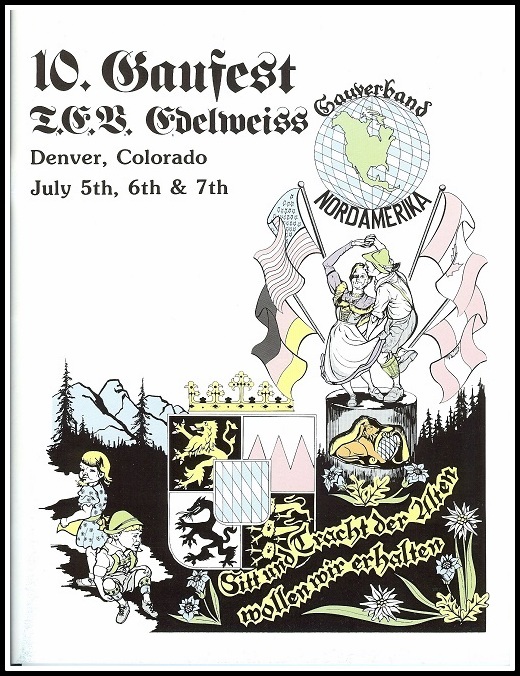 53 Vereine were represented at the Gaufest including two Vereine from Bayern. Gaufest First: A closed circuit television screen outside the ballroom allowed those in the lobby to watch the competition. About 1500 people attended this Gaufest. 1985 was declared "Jahr der Jugend." Gaufest First: D'Werdenfelser Sheboygan's junior dancers performed an Ehrentanz in the hopes that their performance would encourage other Vereine to do the same at future Gaufeste.